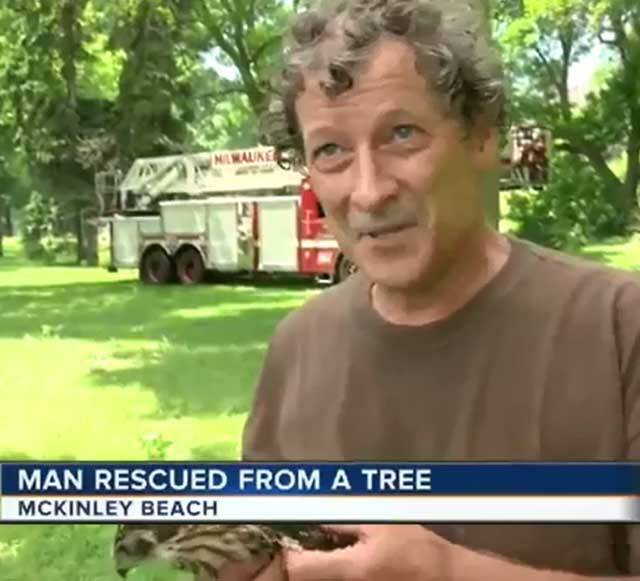 The Milwaukee Fire Department took part in an unusual rescue on Sunday, helping a wildlife biologist who had become stranded in a tree near the McKinley Marina. The biologist was left dangling in a safety harness after falling while attaching identification bands to four recently born Cooper's hawk chicks. First responders were called just after noon when a family heard the biologist's calls for help. 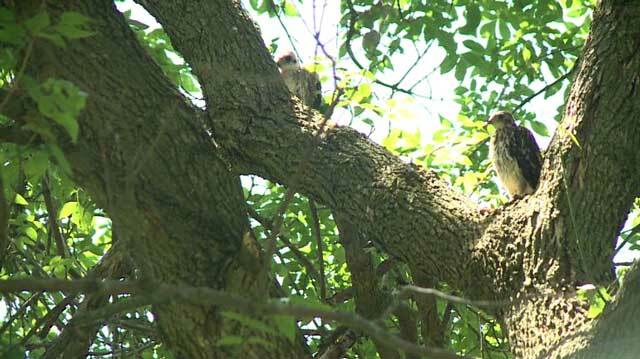 Dr Bill Stout has been studying Cooper's hawks, a protected species in Wisconsin, for decades. As he climbed the tree using his harness, the birds became startled. He slipped and was caught by the harness, but it made breathing difficult. He held on, waiting for someone to come by. 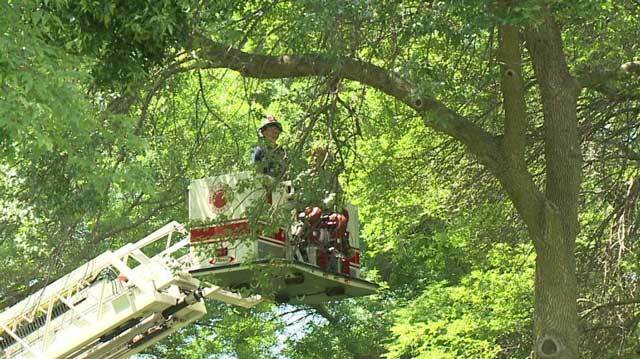 Dr Stout was suspended from a branch about 40 feet above the ground and holding two hawk chicks when the fire crew arrived with a ladder truck. The ladder with a bucket was extended into the tree and Dr Stout and the chicks were lowered safely to the ground. The ladder subsequently was used to return the chicks to a branch close to the nest. The rescue was an entirely new experience for Milwaukee Fire Battalion Chief Sean Slowey. 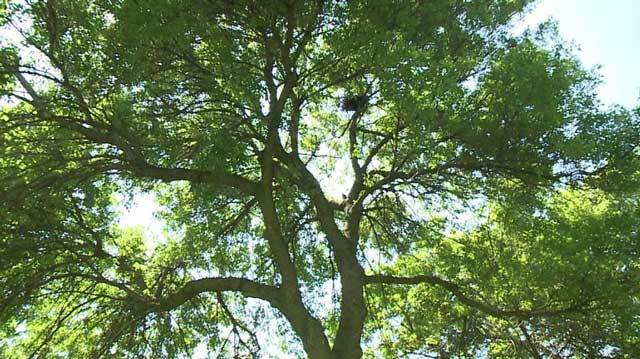 "I've been doing this for 36 years, and this is the first time I've had to cut a federal bander out of a tree and then put hawks back up into a tree," he said. Dr Stout was more concerned with the well-being of the birds. "The one bird, I was a little concerned with. Had her in a bag safety, but she was hanging in the bag as long as I was hanging in (the) tree. I did get her some water," he said.